Lemon kush is a feminized indica dominant Marijuana strain that comes from the mountains of Kush. Lemon taste, complex effect with a very economical price. Lemon kush is a feminized indica dominant Marijuana strain created by crossing Critical with a Kush from the mountains of the same name between Pakistan and Afghanistan. 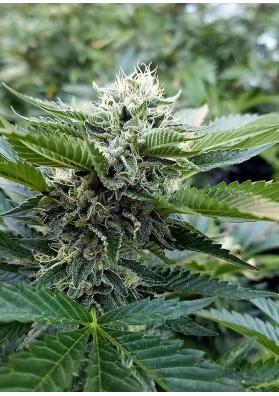 Lemon Kush is very easy to grow and grows quite enough for its kind of genetics, whether grown on indoors or on outdoors. This plant has a quite compact structure, produces dense buds and at the end of the flowering period it has a small growth spurt, so make sure that it ends properly. Lemon Kush has a citric grass taste and a penetrating lemony fragrance.The high is complex affecting both the body and brain. 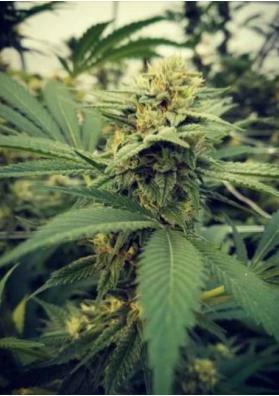 This strain ends its flowering cycle in just 8 or 9 weeks on indoors reaching heights ranging from 100-120 cm, while on the outside, you will be able to harvest it from late September to mid-October. 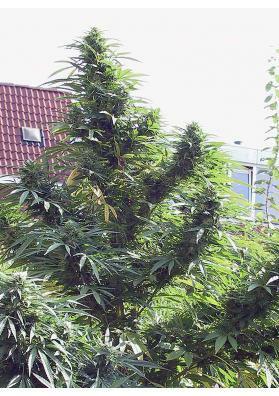 The yields of Lemon Kush are high, reaching 1000 grams per plant in the garden with a mild climate.